QUEZON CITY--Alaska only scored 11 points against Magnolia in the fourth quarter of their PBA Commissioner's Cup quarterfinal match at the Smart Araneta Coliseum. That turned out to be enough. The Aces held on against the Hotshots on Tuesday night, 89-78, to clinch the first semifinal seat in the mid-season conference. 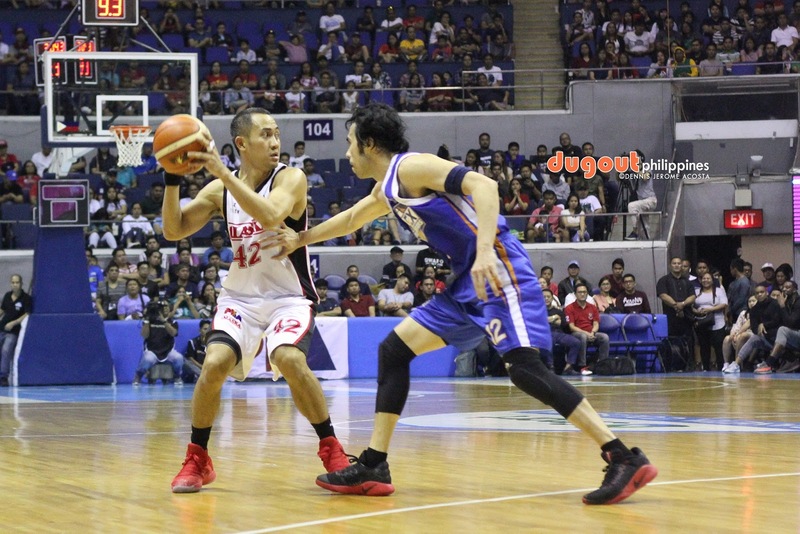 Alaska thought it had pulled away after a 32-19 third quarter that opened a 78-62 lead entering the final frame. However, Magnolia once again banked on its fourth quarter defensive shutdown, outscoring Alaska, 16-4, to cut the lead down to four, 82-78, with 3:30 to go. Vic Manuel and Chris Banchero then saved the Aces from the collapse, scoring the game's last seven points as the Hotshots went scoreless from thereon. Manuel came off the bench to lead Alaska, which entered the semifinals for the first time since making the 2016 Commissioner's Cup Finals, with 22 points, nine rebounds, one assist, one steal, and one block. Diamon Simpson put up a good all-around game of 13 points, 15 rebounds, four assists, four steals, and two blocks as Alaska awaits the winner of the San Miguel-TNT series in the next round. San Miguel looks to sweep its series against TNT on Wednesday night. Wayne Chism battled through foul trouble and made 20 markers, 15 rebounds, one assist, and one steal for Magnolia, which missed the semifinals for the first time with Coach Chito Victolero at the helm.